Ofcom, the UK telecoms regulator, has completed its 4G spectrum auction process and raised £2.34 billion/$3.6 billion. The auction winners are Vodafone, Telefonica, Everything Everywhere, Hutchison 3G and Niche Spectrum Ventures, all of whom grabbed a slice of the available 800MHz and 2.6GHz frequency. While networks celebrate their auction wins, and UK tech fans look forward to having a choice of 4G operators; there are others who aren’t all that pleased with the outcome of the auction, as although £2.34 billion sounds like plenty, it’s much less than the estimated £3.5 billion the auction was expected to raise. Vodafone was the first to send out a press release trumpeting its win. The network says it has, “Secured the widest range of spectrum,” in Ofcom’s auction, spending £790 million on both the 800MHz and 2.6GHz frequencies. While the release continues to talk about the benefits of 4G and the promise of 98 percent indoor coverage of the country by the end of 2015, its stops short of providing a switch-on date for its 4G service, saying only it’ll happen later in the year. The press office at Telefonica-owned O2 wasn’t far behind Vodafone, and in its release it managed to be a little more precise with its 4G launch date, estimating it would occur sometime during the summer. Telefonica invested £550 million in two 10MHz blocks of the 800MHz spectrum, and confirmed it has already started the necessary 4G updates to its grid. Everything Everywhere has claimed two 5MHz chunks of the 800MHz spectrum along with two 35MHz blocks of the 2.6GHz frequency, spending £588 million in the process. 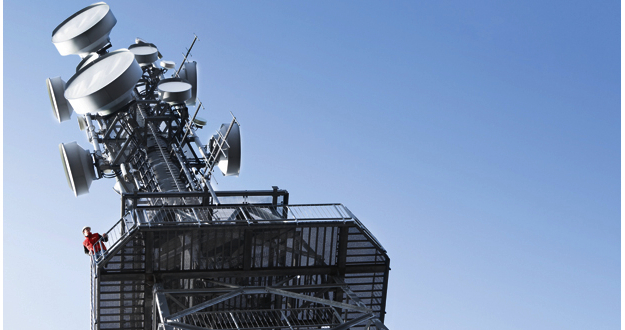 It makes a point of confirming its still the UK’s largest operator, as it controls 36 percent of the available spectrum. EE is the only network in the UK to have already launched a 4G service, although it has done so using its considerable reserves of the 1800MHz spectrum. Hutchison 3G, which owns the Three UK network, hasn’t sent out a press release yet, and neither has Niche Spectrum Ventures (which is British Telecom in disguise). According to Ofcom, the pair spent £225 million and £186 million respectively. Three UK had 10MHz of the 800MHz spectrum set aside to ensure the small network wasn’t forced out of the market, so was never likely to purchase anything else, given it’s also receiving some 4G-capable 1800MHz spectrum from EE later this year. As for Niche Spectrum Ventures, it only took the 2.6GHz frequency, but won’t be using it for mobile purposes. With the auction over, the next stage is known as Assignment, which decides where the newly acquired chunks of frequency will be located in the spectrum, and it will get underway soon.